(a) Remove the radiator reserve tank assembly. 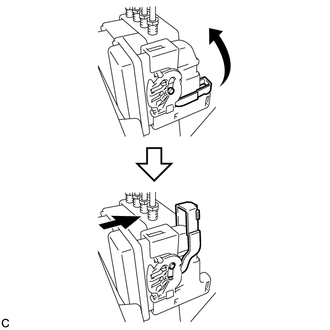 (b) Remove the radiator reserve tank cap assembly. 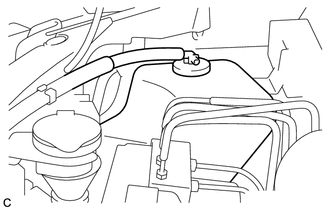 (a) Remove the clamp and separate the suction hose sub-assembly from the brake actuator bracket assembly. 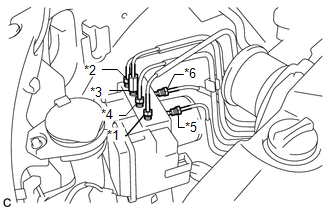 (b) Using union nut wrenches (10 mm and 12 mm), disconnect the 6 brake lines from the brake actuator with bracket. (c) Use tags or make a memo to identify the places to reconnect. 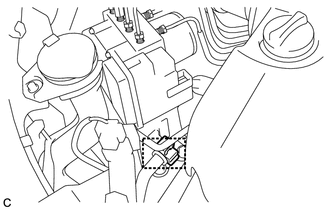 (d) Release the lock lever and disconnect the brake actuator connector. 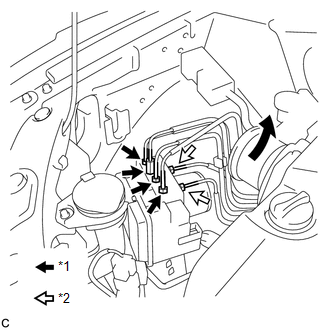 Be careful not to allow brake fluid to enter the removed connector. 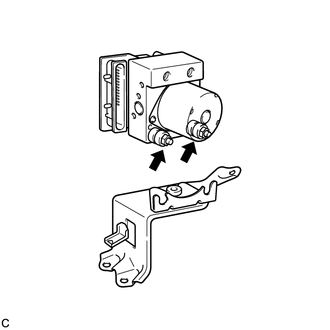 (e) Remove the nut, 2 bolts and brake actuator with bracket from the body. 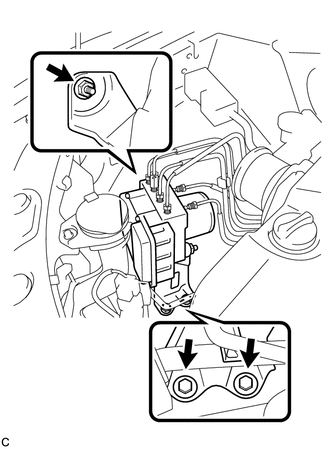 (a) Loosen the 2 nuts and remove the brake actuator assembly from the brake actuator bracket assembly.